Thousands of people attended a vigil organized by Taylor Allderdice High School students on Forbes and Murray Avenue following the Oct. 27 shooting at the Tree of Life Synagogue in Squirrel Hill. (Photo by Heather Mull for PublicSource). Oct. 28, 2018. The Pittsburgh Foundation’s Critical Needs crowdfunding program, under the #LoveIsStronger banner raised funds to support organizations assisting victims of the mass shootings at Tree of Life Synagogue in Squirrel Hill. Donations to eight designated organizations were accepted through pittsburghgives.org, the Foundation’s donation portal. 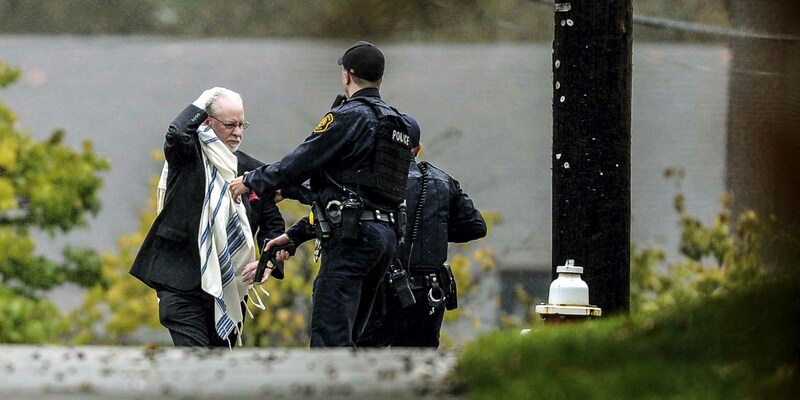 Background: On Oct. 27, a gunman shouting anti-Semitic statements and armed with an AR-15 style assault rifle and three handguns, opened fire during religious services at the Tree of Life synagogue in Pittsburgh's Squirrel Hill neighborhood. Eleven people were killed and six more injured in what is now being reported as the deadliest anti-Semitic attack in U.S. history. The horrific violence has sent shockwaves through our city as we try to process how anyone among us could commit such senseless violence. And yet, the act has opened hearts and unleashed myriad acts of kindness: there has been an extraordinary outpouring of generosity and a showing of solidarity from city neighborhoods and suburbs across the region, across the United States and across the world. Our Foundation has committed to assisting the victims and those who are helping them. We will work with government officials at all levels, religious leaders and nonprofit/civic organization staffs in helping our community unite, heal and rebound. These efforts include encouraging our donors and the public to give to relief efforts certified by the Foundation and those leading relief in affected communities. "Do not let his death be in vain. Drive out evil from your own life and help another to drive it out of their life. The only way to combat evil is with love. "